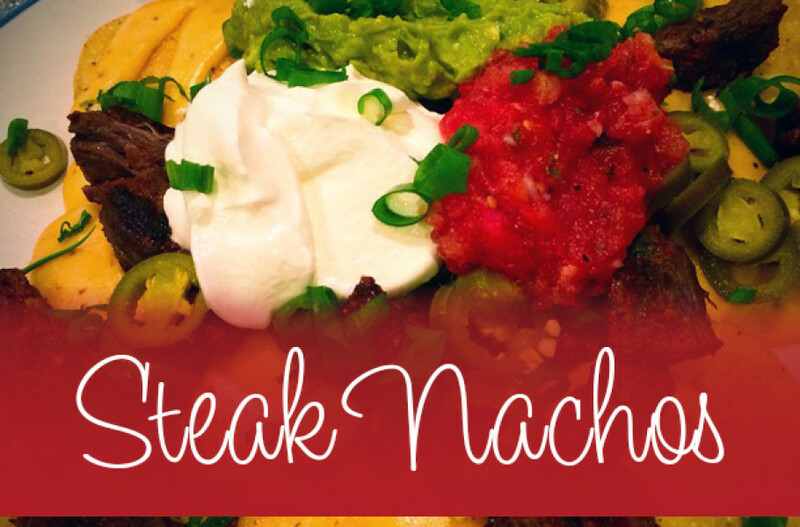 Last week I wanted to share this yummy steak nacho recipe with you, but I’ve been on Auntie Duty for over a week while my sister and brother-in-law are out of town. I have two adorable nephews, one is 4 (about to be 5 this week!) and the other is 7. 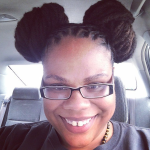 As someone whose biological clock has been ticking increasingly louder and louder with each passing year, this has certainly been a test drive of motherhood. 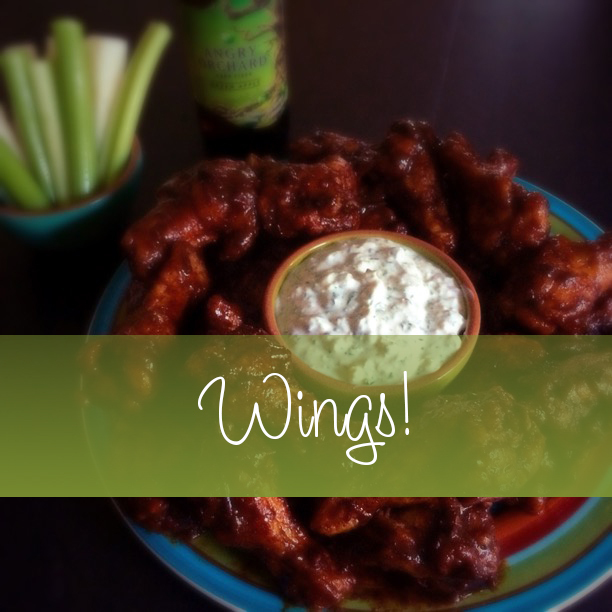 There is one more thing worth noting, cooking in a kitchen that is not your own is a challenge! As someone who enjoys collecting kitchen gadgets, I have none of my handy time saving tools at my disposal. Not to mention the many scavenger hunts I’ve had in my sister’s kitchen this weeks as I cooked these nachos and dinner for the boys most of this week. However, I found a way to make it work and while I missed a week of blogging, these nachos have arrived just in time for the Jets v. Dolphins game tonight or the Lions v. Seahawks game tomorrow night. 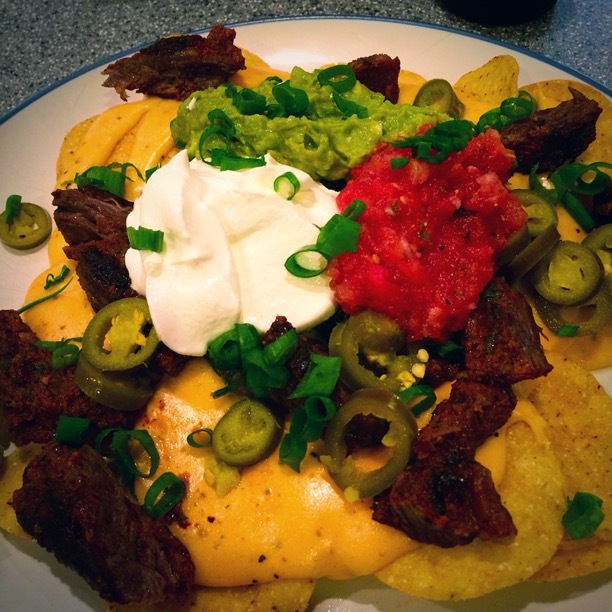 Some quick notes about these nachos. 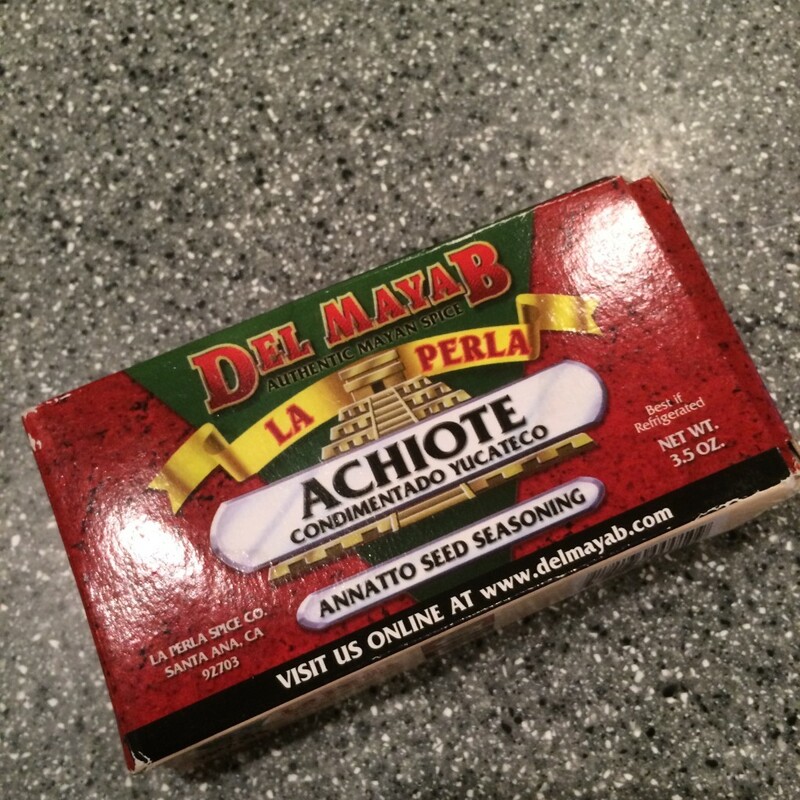 There is one ingredient that might be hard to find, the achiote paste, but it’s worth the search. If you’re in a city that has lots of Mexican markets like Los Angeles, skip the chain grocery stores and make the search easy. However, more and more grocery stores are carrying this ingredient and if you can find it, one box will last you for a long time because a little does wonders! Achiote paste is a blend of annatto, oregano, cumin, clove, cinnamon, black pepper, allspice, garlic and salt. 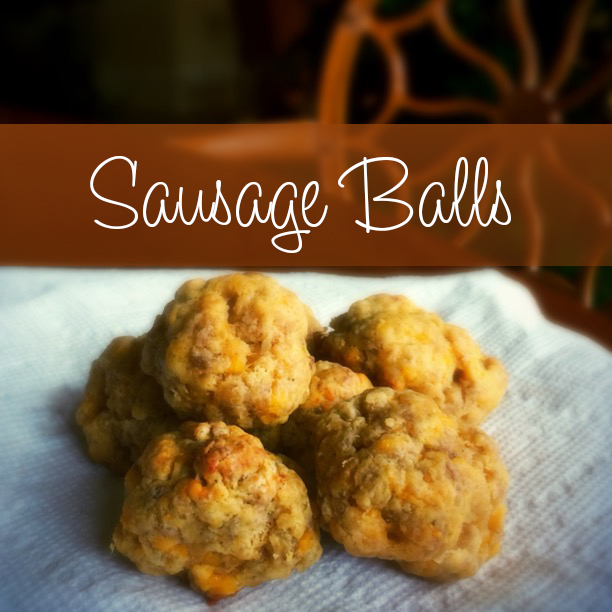 It is usually associated with Mexican or Belizean cuisines. The annatto seeds dye the mixture red that turns food a deep red-orange color. Tina loves nachos and it is her snack of choice at the movies or a baseball game. We can never share because I hate the artificial taste of the cheese. In many cases I prefer to just melt cheese directly on the chips. However, this recipe satisfies us both. She gets the cheese sauce and since it’s homemade, I get to enjoy it as well. The cheese sauce is a twist on a macaroni and cheese béchamel sauce. Included in this recipe is a quick semi-homemade salsa recipe. If you’re short on time, you could always pick up your favorite salsa from the grocery store. Also, if you like guacamole on your nachos, don’t forget to make Patty’s Guacamole. Enjoy and let me know what you think about this game time treat in the comments below! 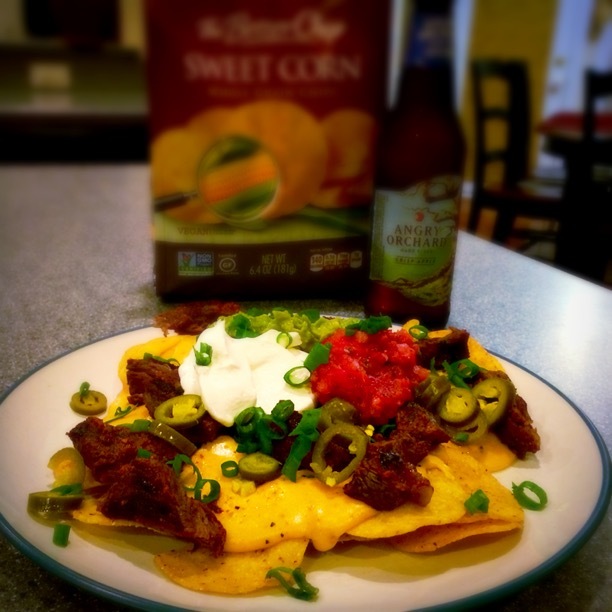 Yummy nachos that are perfect for game time! 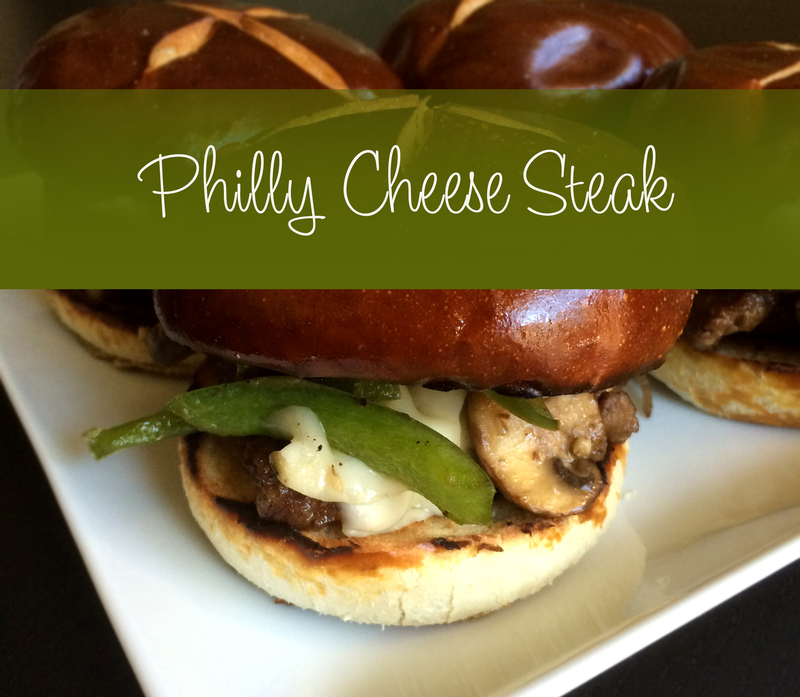 There are plenty of ways to adapt this recipe to match your taste. 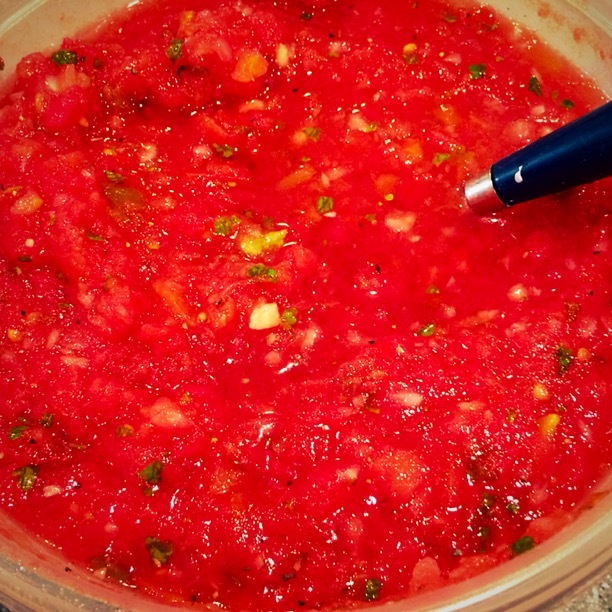 Place all the ingredients into a food processor and pulse until salsa has desired consistency. In a large bowl combine all the ingredients except the steak and mix well. Add steak and cover in marinade. Cover with plastic wrap and allow to marinate in the fridge for at least 30 minutes. If you have planned ahead, try marinating overnight. The longer you marinate the meet, the more flavorful it will be. Pre-heat a grill pan over medium high heat. Once the grill is extremely hot, place the steak on and allow to cook for about 5-7 minutes on the first side. Once it has charred and browned, flip the meat over and continue cooking for another 4-6 minutes, depending on how you like your steak cooked. Remove the steak from the grill pan, place on a plate, cover with aluminum foil, and let it rest for 5 minutes. Slice steak into strips and place aside. Once the butter has melted, add the flour and whisk together for 2-3 minutes. Slowly stream in the milk while constantly whisking. Continue to whisk until sauce begins to boil. Allow to boil for one minute so the sauce can thicken. Lower the flame to low and season with salt, pepper, onion and garlic powders, paprika, and hot sauce. Stir in the cheese and melt thoroughly. Place a healthy handful of chips on a plate. Drizzle the cheese sauce over the chips. Add steak and beans, if desired. Add any additional toppings you desire. Top with sour cream, salsa, and guacamole, if desired.